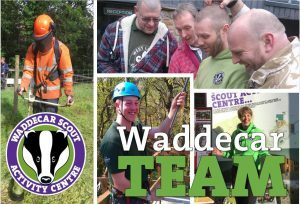 It takes a great many people to make Waddecar work as effectively as it does and with around 100 volunteers on our register at any one time, we are very proud of each and every one of them. Volunteer teams are described below. Many of our volunteers don’t just belong to one of the teams, often they take part in many and have experienced different teams over their lives to suit what volunteering they can give at a given time. Our Wardens are the Ring Masters of Waddecar Weekends, the fount of all knowledge, the holder of keys to all doors, the sanity amidst the madness. The Warden Team is very varied, from young couples with children in tow to Retirees escaping home life for a weekend. The only requirements are being a member of the Scout Association and enjoying going that extra mile to make someone smile. Wardens commit to a few dates each year, normally covering weekends but some also some mid-week periods at Easter, Spring Bank Holiday and the Summer season. Duties involve welcoming arrivals and booking them in, running the on-site shop, taking telephone enquiries & bookings, answering campers queries, settling accounts and anything else which occurs. Voluntary Wardens are the main customer facing team within our operation and our reputation for being friendly and helpful lies very much in their hands. Although this is sometimes a demanding task, voluntary wardens receive a great deal of support from our Centre Manager and the Service Crew, so they are never on their own. We are always keen to welcome in new recruits, so if you think you would enjoy becoming part of the Team, please call or drop us a line. The Service Crew is the backbone of Waddecar, providing the stability around which the rest is built. Service Crew members are generally recruited from other teams of people who have already given good service to Waddecar, either through being a Service Team member or coming by recommendation through existing Crew members. Being a Crew member requires considerable commitment of a minimum of 2 weekends every “rota period” of 3 or 4 months. 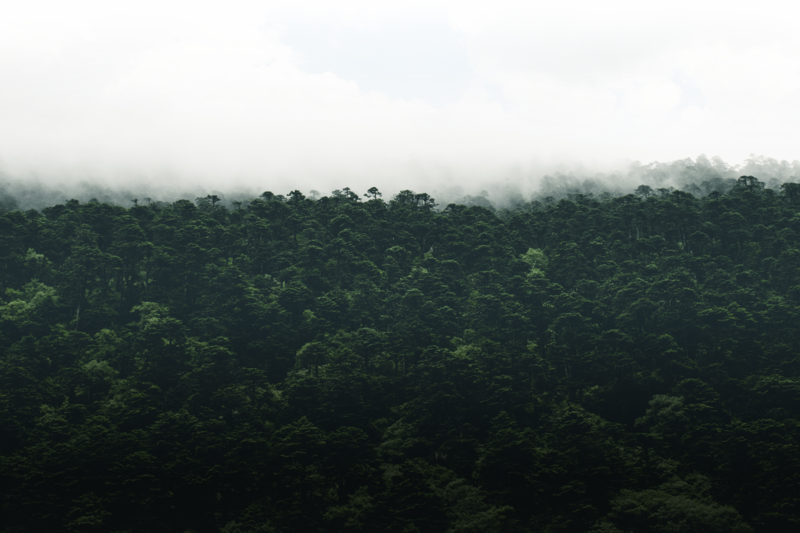 The Crew is an organization in its own right and also has its own social program. The Crew operate under a training scheme and afford a higher level of responsibility, driving the tractor, assisting campers, running activity sessions, supervising service teams etc. Even if you haven’t been part of a Service Team or have direct contact with the Crew, if you think you may be interested, we would love to hear from you. Please call or email the office. Service Teams are groups of friends who want to give the odd weekend in service to Waddecar. Teams are provided with on-site accommodation and work with the Camp Site Warden and Service Crew to undertake both some of the usual day to day jobs, such as keeping the toilet blocks clean & tidy, managing our recycling station, clearing drains etc, and also more exciting project work either developing new attractions or maintaining existing ones. The majority of our Teams are Explorer Units, but we welcome Guide/Ranger groups, DofE teams and all Leader groups. Teams usually come under their unit name and the members can and do change each time they visit. We are always keen to welcome Service Teams old and new. If you want to book on, or just get more information, please call or email and ask for the Centre Manager. It takes a good number of trained adults to operate our activities. Many of them are self help, and many groups can and prefer to supply their own trained instructors – but where they are not available the Waddecar Activities team steps in. These experienced activity volunteers can deliver shooting, archery, climbing, abseiling and more. It’s always best to book in advance, but these fantastic team members can really ad to the adventure. We are always looking for new members and training is paid for (including qualifications) by the campsite in return for a minimum commitment to run sessions on behalf of the site. DIY gurus, Admin experts, Retail therapists, Menders, Makers and the generally Keen make up our mid-week Team. These super stars aren’t looking for the limelight, but their support keeps everything at Waddecar ticking along nicely. During the week, whilst all is quiet, this small group come to Waddecar to help with jobs like refurbishing buildings, general maintenance and development projects, admin support and, sometimes, expert advice. Members tend to be retired or between jobs and always receive a warm welcome with lots of jobs ready to undertake. Whatever your skills or experience, there will be a task here to suit you. If you fancy volunteering for a day or few hours a week, please get in touch and come and meet the team. Call or email the office and ask for the Centre Manager. We also have a number of people who help us in a variety of ways. Normally older, retired people or younger people who don’t really fit into other categories. There are always a million and one ways to help us out, whether it be maintaining activity equipment, stocking the shop, helping out in the office, answering the phone, planting trees, cutting grass etc, we’re always looking for help. If you are interested in any of the above, please contact us for further information and an informal chat and we’ll see how we can help each other.